Saskatoon, Canada (September 21, 2018) BTN— Members of the Hells Angels motorcycle club are converging on the city this weekend to celebrate the 20th anniversary of the club's Saskatoon chapter. 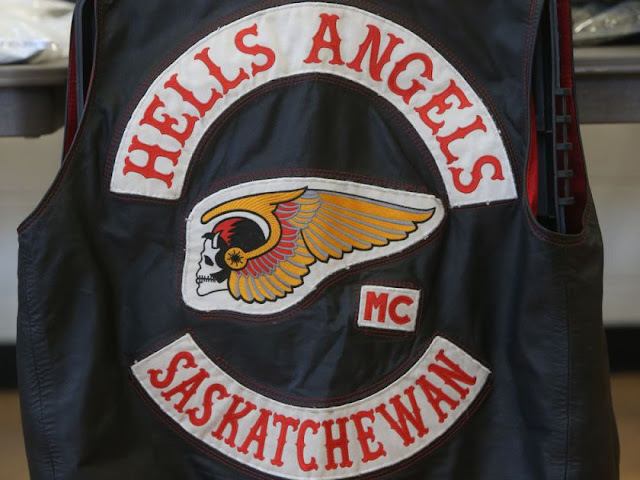 The red and white will be flying frequently in Saskatoon this weekend as members of the Hells Angels motorcycle club are converging on the city to celebrate the 20th anniversary of the club’s Saskatoon chapter. City police say Hells Angels and their associates will be gathering in the city for the celebration and say members of the public can expect to see an increased presence from the motorcycle club from here in Saskatchewan and from right across Canada. “The Saskatoon Police Service has an operational plan in place and additional policing resources will be on hand to ensure the safety of the public and all those involved,” says the Saskatoon Police Service news release. This isn’t the first time a large number of Hells Angels from across Canada converged on Saskatoon. In 2012, members of the infamous club converged on the city for the National Run, which saw members from across the country arrive in the bridge city.